This is it! 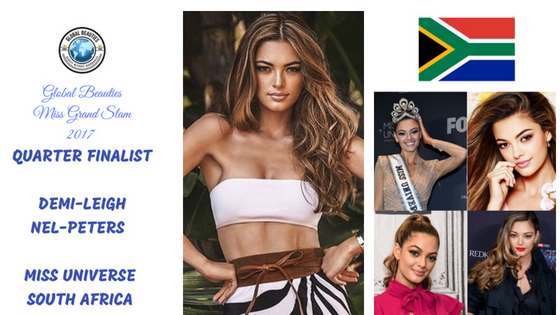 The final round of public voting to help us determine who will be name Global Beauties' 20th Miss Grand Slam - the best of the best for the year 2017. Eight young women from the Dominican Republic, Kenya, India, Indonesia, Mexico, Peru, Poland and South Africa are left in the running to receive this honorary title, which has become a tradition in the pageant industry during the past two decades. The public voting will determine 30% of the final results. The remaining 70% will be determined by our panel of judges (40%) and Global Beauties Co-Owners Henrique Fontes and Andre Sleigh (30%). Following the public vote, the top 4 will be announced, then the top 2 and finally the winner of Global Beauties' 20th Miss Grand Slam will be announced.